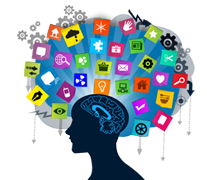 Website design is the process of creating websites. It engulfs various different aspects in every possible scenario, including - Page layout, content production, and graphic design. While the terms web designing & development are reciprocated, web design is technically a subgroup of the category of website development. Digital Pallet Inc designers use typography, visual arts, logos, banners, and page layout techniques to create visual delights. Common use of graphic design include corporate design like-Flyer, landing page, logo, icons, promotional/ website banner, template, app designer etc. A website is the face of your business on the internet. With the increasing rate of digitization every other person wants to trade online, competition is tough. 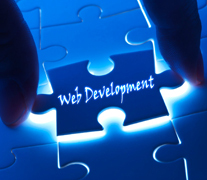 Therefore development of your website should be in an utmost importance. Finding the right team to handle your custom development is like finding a piece of rice in water. Do not worry, Digital Pellet Inc is one stop solution for you. So how do you know that you’re getting the right balance of technical expertise and value? At Digital Pellet Inc we’ve been working for quite along in Digital world , so our developers are not only polished, they’re also savvy about consulting the right solution to get you the most in return for your bucks. We believe in 100% transparency with the customer hence we provide a user accessible dashboard from where customer can keep an eye on the progress made in their project anytime/anywhere.